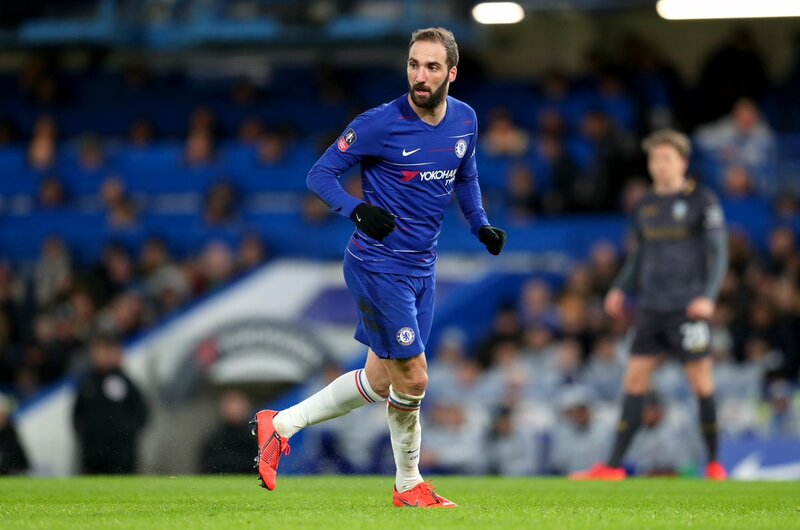 Chelsea’s new striker Gonzalo Higuain has grabbed his first goals for the Blues following his signing from AC Milan in the winter transfer window. The striker failed to get on the scoresheet in his first two games against Sheffield Wednesday and Bournemouth in the FA Cup and Premier League respectively, but he wasted no time in finding his first two notches when the Blues faced Huddersfield last weekend. He’s had a taste and now he wants more. The Argentina international is aiming to replicate his record-breaking form under Maurizio Sarri while they pair worked together at Napoli. He scored 36 goals in the Italian Serie A, more than any player in the history of the competition before leaving to join Juventus. Higuain now hopes his reunion with Sarri at Chelsea will mark a renaissance in a career that has stalled for a while now. “Sarri is the coach who has got the best out of me as a player. He’s someone who knew how to work with me, particularly on the emotional side. That (2015-16) was a wonderful season, one in which I broke the goal-scoring record, which is very important out there. It was a fantastic year for myself and Maurizio, a period which we shared together, even though it was for a short time. Higuain’s chance will come again when Chelsea next face Manchester City next weekend.